In the midst of skyrocketing inflation, food scarcity and economic stagnation in Venezuela, the opposition Democratic Unity Roundtable (MUD) party is maneuvering for the removal of President Nicholas Maduro. In December’s legislative elections, the MUD won a landslide victory over Maduro’s United Socialist Party of Venezuela (PSUV) as voters reacted to the failure of the “Chavista” government to address widespread poverty and economic insecurity. In the aftermath of the election, the MUD made provocative press statements giving Maduro a six month deadline to solve the crisis. The statement was given in response to a decision announced that same day by Venezuela’s highest court. The court voted to uphold Maduro’s January declaration of a state of “economic emergency,” which granted the executive branch special powers to bypass the legislature in responding to the crisis. The Venezuelan constitution allows for popular recall of elected officials, including the president. A referendum can only take place after the official’s term has reached its midway point, which in Madero’s case would be in April 2016. The number of votes required to recall Madero will be roughly 200,000 votes less than the total received by the MUD in the December legislative elections. In other words, a successful recall is a clear possibility. The implications of these words are clear enough in a country that has had six coups d’état in the last 70 years. Maduro has responded by making clear that his government is prepared to defend Venezuelan capitalism at all costs. Speaking Thursday at a ribbon cutting ceremony for a factory in the state of Carabobo, he said, “We are taking care of social and labor stability, and we are making a daily effort to maintain the entire productive capacity of the country.” In recent weeks, Maduro has made good on his promise by sending civil guard forces to quell isolated strikes. The political crisis in Venezuela has been sparked by an escalating economic crisis. The failure of the nationalist, export-based economic reforms of Maduro and his predecessor Hugo Chavez have ended in widespread poverty and social misery. A 75 percent drop in the price of oil has produced a ripple effect in the Venezuelan economy, where “missiones” social programs are largely dependent on the country’s export of crude oil. 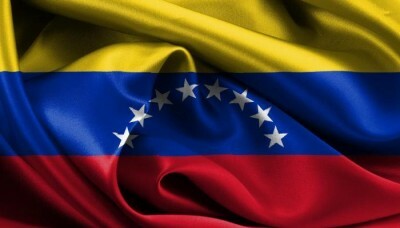 In early February, Venezuela had an oil reserve of 300 billion barrels—eight times the reserves of the United States. Venezuela’s exports are expected to total around $27 billion in 2016, down from $75 billion in 2014. In the third quarter of 2015, the Venezuelan economy shrank 7.1 percent. Inflation was at 141 percent for the year ending in September 2015, and many experts believe inflation will exceed 200 percent in 2016. There is a real possibility of a debt default, with half of the country’s $10 billion in debt payments due this November. “The country is in economic meltdown. The figures are predictably horrific,” economist Edward Glossop of the research firm Capital Economics told CNN. Video has surfaced of food riots outside of a Central Madeirense supermarket in the town Acarigua. A scarcity of food has produced a desperate situation for millions of working class Venezuelans, with some states reporting that 70 to 90 percent of grocery stores lack basic staples like rice, chicken and corn flour. Under these conditions of chaos, the right-wing MUD, backed by US imperialism, is creating conditions for a change in power. In particular, the US government wants to obtain access to Venezuela’s oil, which is currently processed and sold by the state-owned oil company, Petroleum of Venezuela (PDVSA). In November 2015, documents released by whistleblower Edward Snowden revealed that the Central Intelligence Agency (CIA) was operating a massive surveillance operation out of the US Embassy in Caracas to hack into the computer network of PDVSA. These claims are laughable. The US has funded numerous dictatorships and death squads across Latin America in an effort to more effectively extract resources on behalf of American corporations. In 2002, the CIA was the instigator of a coup attempt against Chavez. In the months before the attempt, coup leader Pedro Carmona made regular visits to the White House and met with Bush administration officials, who gave explicit support for the coup. Twenty people were killed in the coup attempt, which fell apart when the military and hundreds of thousands of people converged on the presidential palace to demand Chavez’s reinstatement. But the crisis in Venezuela today is a product of the failure of Chavez’s program and his so-called Bolivian Revolution. The Chavez and Maduro governments have responded to workers’ strikes with massive state repression and have based their programs on a defense of capitalism with only mild social reforms and limited nationalizations. Their nationalist approach has left the population vulnerable to fluctuations in the world oil market, with devastating consequences for workers and peasants. Only a movement of the working class, independent of the Bolivian PSUV and linked in struggle with the workers of North and South America, can oppose efforts by MUD and US imperialism to further carve up the country on behalf of Wall Street.